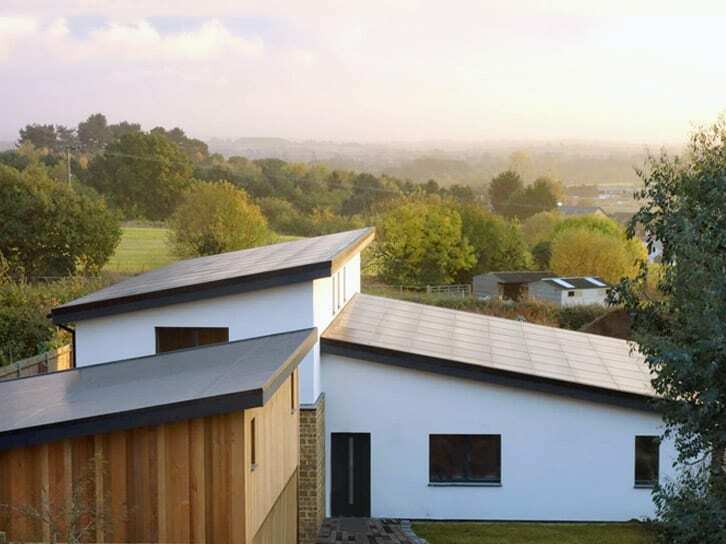 This award winning Passivhaus Plus project in Bedfordshire utilises the MBC Passive timber frame and foundation system. Elements of the system had to be adapted to ensure the PHPP (Passivhaus Planning Package) met the required standards, usually our twin wall system allows for 300mm of continuous insulation, in this case it had to be increased to 400mm. Planning was very tricky for this client, one guideline was that they had to design something special and they agreed that an energy efficient house would be looked on favourably. One key benefit of the MBC system is that it is manufactured offsite and delivered in panels that led to the main erect of this project being completed in just 4 days!